If you need an easy but delicious clean eating snack for a sweet tooth with success guarantee then you are at the right place. I proudly present my top 6 peanut butter protein balls. What a satisfying taste revelation – so yummy!!! Let me start with my own creation which works great as a healthy snack in between. These protein balls with self made mini chocolate chips, rolled oats and crispy flax seeds are really the hit. 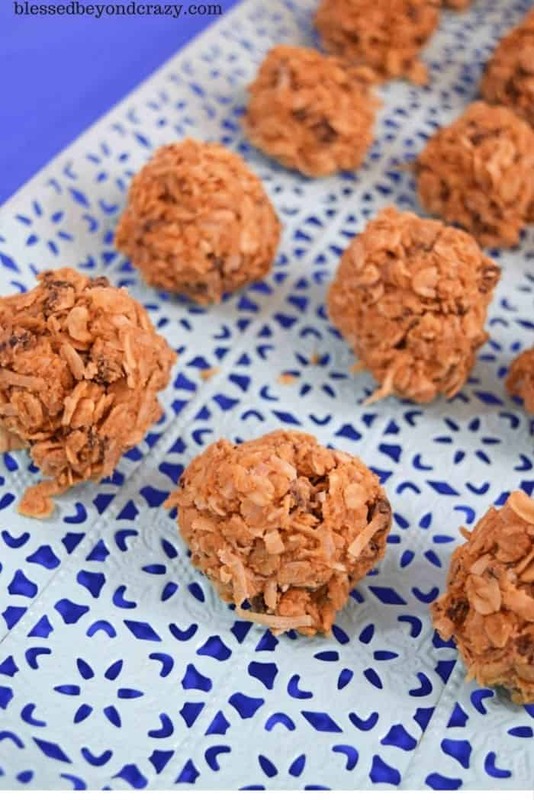 My husband has been again a great “guinea pig” for testing out these no bake balls. 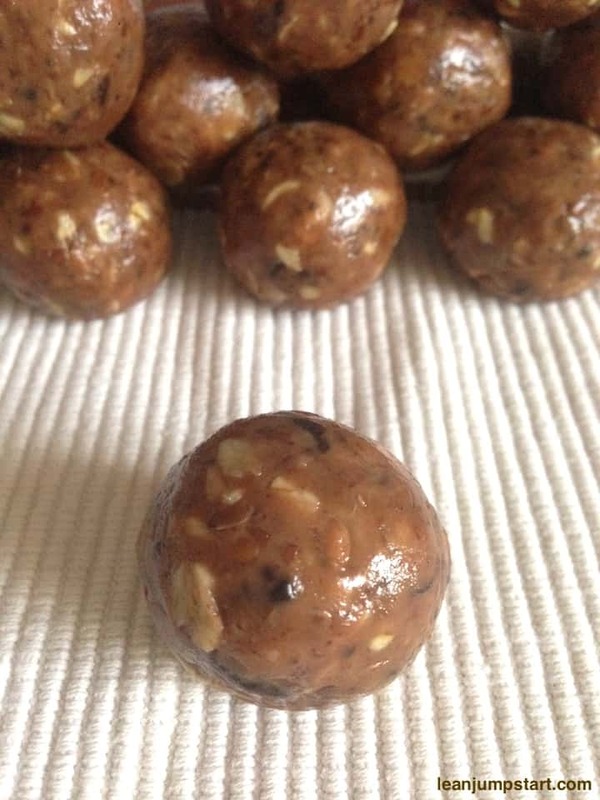 After I served him my first energy balls creation some weeks ago he was a bit reluctant to test my new ones. This time however his picky and chocoholic palate was rewarded and I can pretty much guarantee that these peanut butter protein balls are delicious. My hubby goes even so far to say that they are the best “healthy snacks” I ever presented to him. Do you remember the taste of the “Snickers” chocolate bars by the Mars family? These peanut butter balls come quite close to its taste and that might be also the reason why my hubby is so convinced. From now on I have to always have them handy in my freezer. 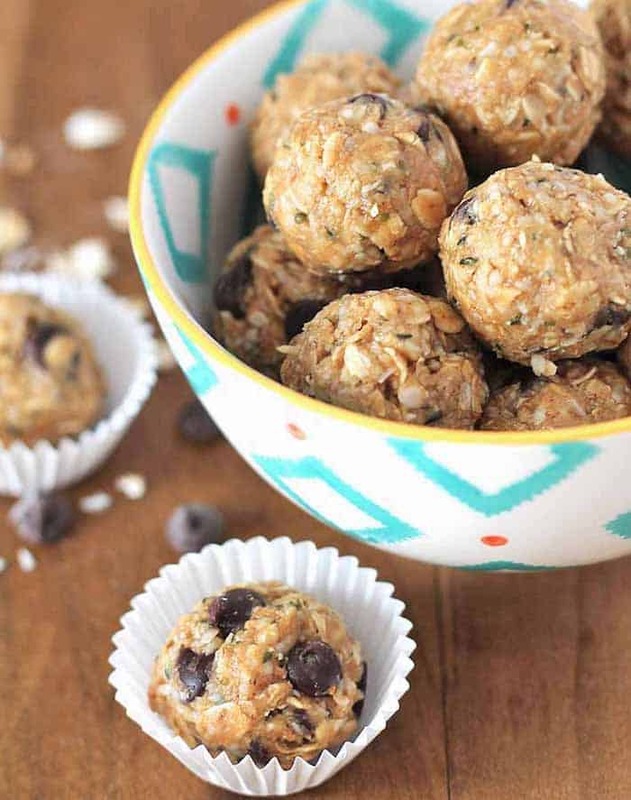 Another great thing about these oatmeal balls is that they consist of the healthiest ingredients. I love especially the fact that they contain line seeds also known as flax seeds. Line seeds contain over 50% of the omega 3 fatty acid (alpha-linolenic acid ) which in different studies has shown significant cardiovascular benefits. (1) Only chia and hemp seeds have more omega 3 in a vegetarian form. If you are mainly eating plant foods then finding smart ways to add the line seeds to your meals can be a challenge. Yes, you can bake it in your whole grain bread or add it in your muesli but combining them in energy balls is now my favorite way to consume the flax seeds. You bite on the tasty ball and experience a wonderful crunchiness due to the fiber-rich flax seeds. Let’s jump into the easy recipe! Combine all ingredients in a food processor until a sticky mix forms. Place in fridge for 15-30 minutes. Store in the fridge for up to a week. Even better, freeze them. They taste excellent straight from the freezer – and they can be stored in your freezer for up to 3 months. You can replace the flax seeds for chia seeds or shredded coconut. 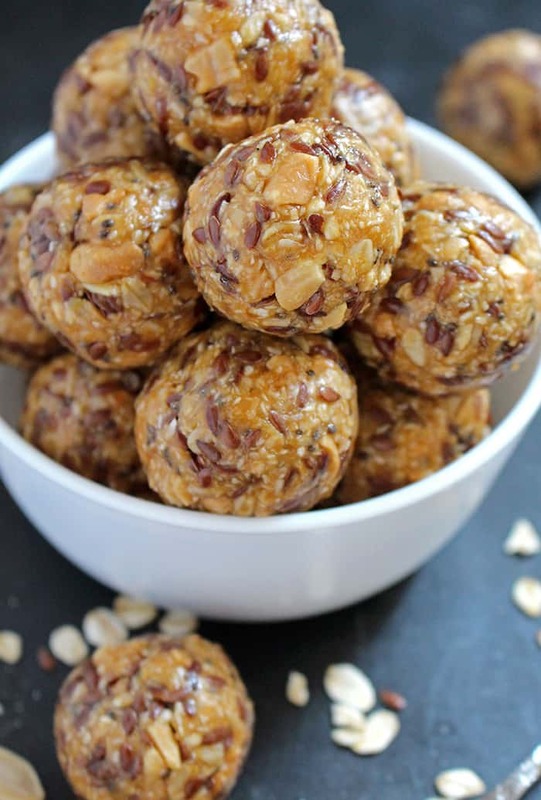 These high fiber energy balls are for sure the perfect snacks before or after an exhausting work out. But when it comes to weight management I highly recommend to indulge wisely. I often use them as little dessert after a wholesome meal and one ball is usually enough with my espresso to be satisfied. You know that peanut butter is very high in fat, so I don’t have to point it out. Yes, it contains more unsaturated fat than saturated fat and on top of that also 30% protein and yet, to prevent weight gain you should watch your overall fat consumption. 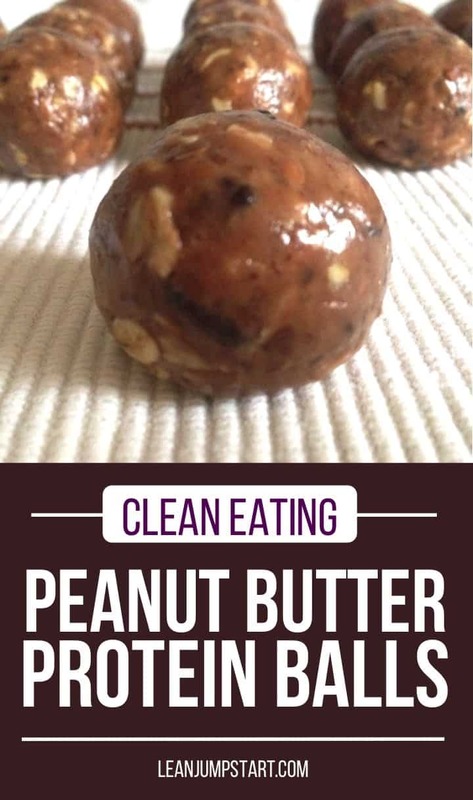 So, if weight loss is an issue for you, I recommend to not eating more than 1 peanut butter protein ball per day, no matter which recipe you choose. 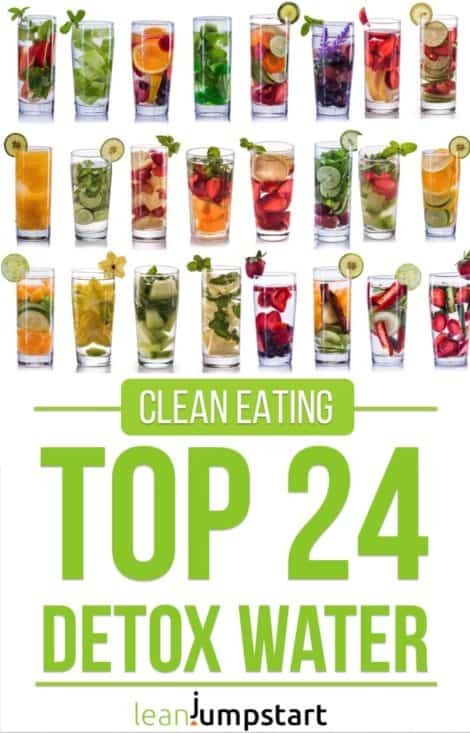 Click here to check out my top 11 high fiber snacks. It is not always easy to find extra dark and clean eating chocolate chips without sugar and other additives. That’s why I often chop chocolate in my food processor. First I break the dark chocolate up into pieces and put it in my food processor (Thermomix). Then I process for at least 10 seconds on “speed 5” and ready are my chocolate chunks. I love the fact that not all chocolate chips have the same size. This gives you different taste experiences when you snack on the peanut butter bites. For other food processors just pulse it on and off until you get the size you need. Ok, I hope you enjoyed my recipe idea. But I won’t let you go before I share with you some more inspirations. A special and unusual addition to Gwen’s beautiful bites are hemp hearts (shelled hemp seeds) which are known for their beneficial omega 6 to omega 3 fatty acid ratio. Another benefit of hemp is that it can help you feel full longer and that it works as a natural appetite suppressant. Do you need some treats which can help to curb your cravings for sweets? Then you can’t go wrong with Gwen’s creations. Do you love coconut and vanilla extract? Then you will enjoy Dragana’s crunchy and moist balls – perfect as a brunch snack. Besides of flax seeds she adds even a bit of chia seeds to the mixture, which gives the bites an extra portion of fiber and crunchiness. Don’t they look just amazing? You don’t like flax seeds or any other seeds in your peanut butter balls? No problem! Erin shares a bliss balls recipe without any seeds, naturally whole grain, dairy-free and gluten-free. It contains just 6 ingredients and she gives you even tips how to make your own peanut butter. Don’t miss her how-to videos. 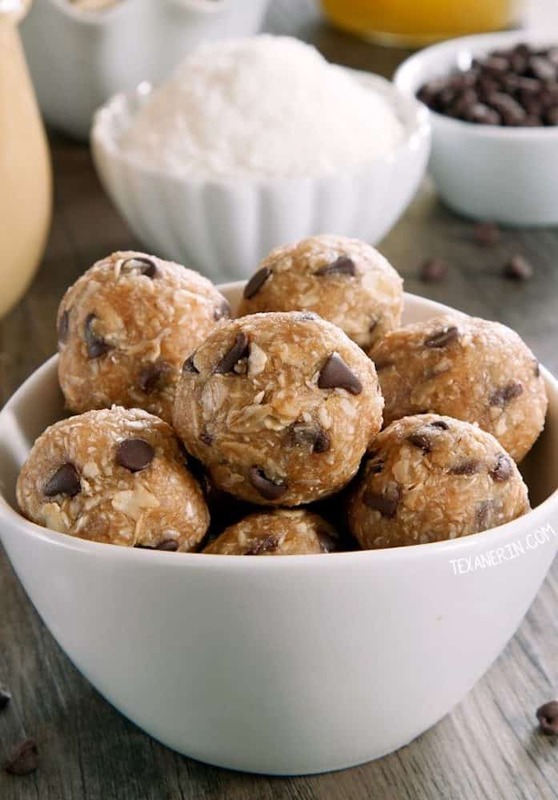 These mildly sweet protein packed bites are another inspiration with coconut flour. Maybe you ask why these sweet treats have such a bright color? Ginny added powdered dairy free milk and for a special crunchiness she has enriched the balls with some chopped peanuts. Yummy! Instead of dairy free milk powder you could also use vanilla protein powder. 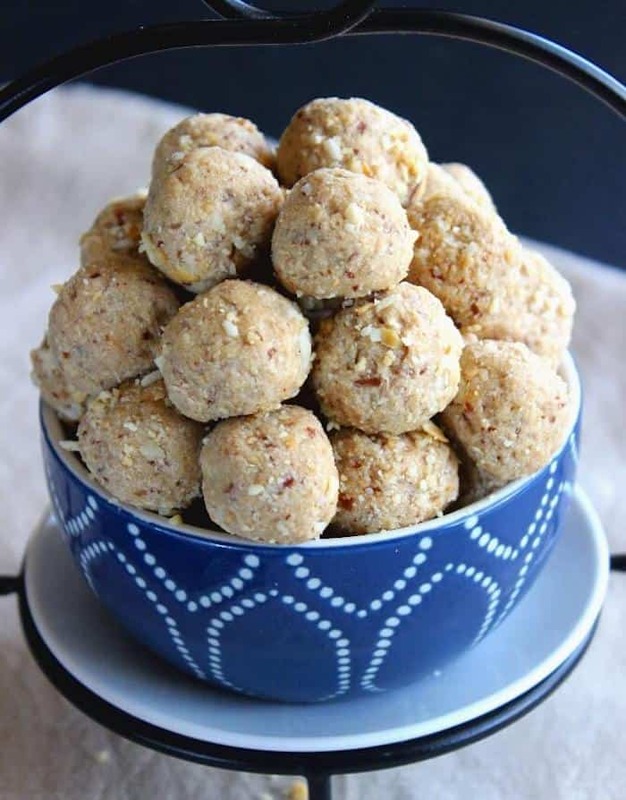 As a lover of minimalist recipes with just a few ingredients I have to share this easy peanut butter protein balls recipe too. 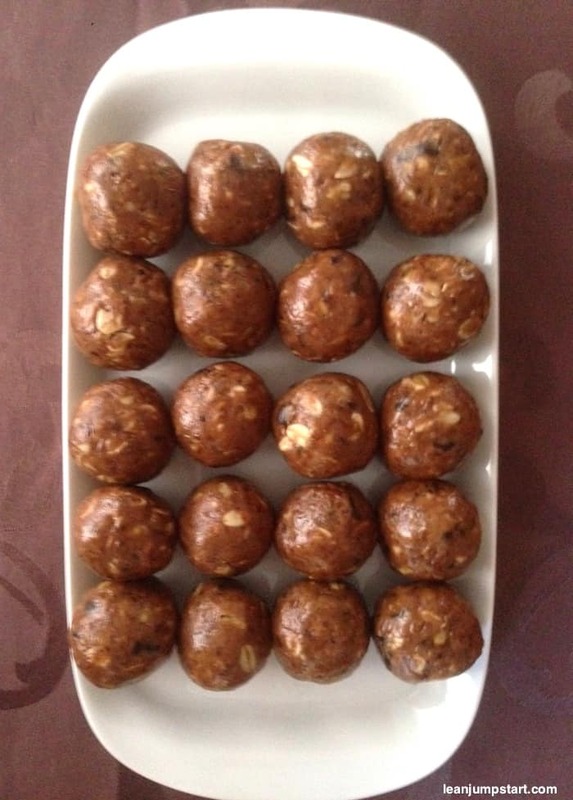 It was created by the wonderful daughter/mother team, Anna and Linda, who needed just 4 ingredients to whip up these seducing energy balls. Do you mean 2/3 “cup” peanut butter? I figured that but it’s not there. sorry I’ve just corrected it.